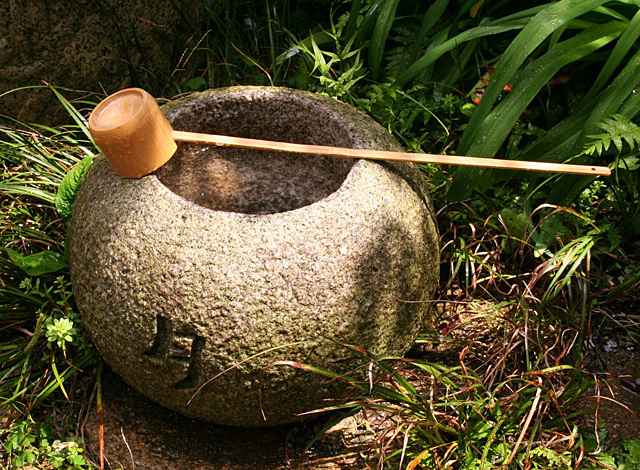 ORIBE　TORO is said to be named after Yoshida Oribe who was one of the disciples of Senno Rikyu the tea master. 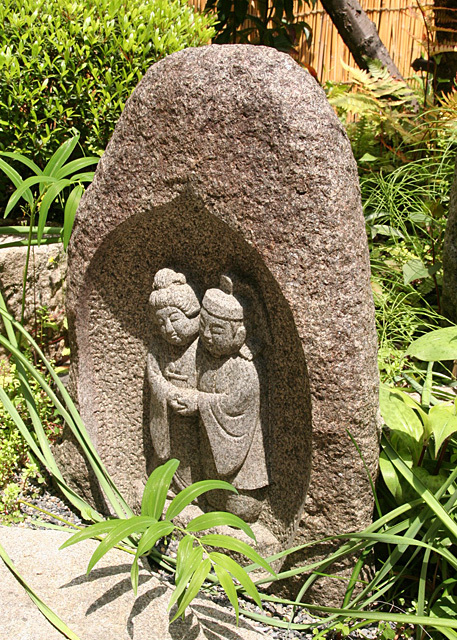 And it’s also called “CHRISTIAN TORO” as people prayed to the lantern instead of praying a crucifix in the period of prohibition of practicing Christian in Edo periods. 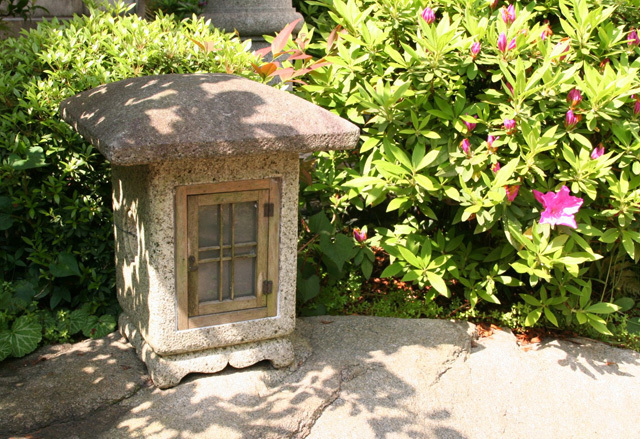 KASUGA DOORO is a reproduction of the Stone lanterns at Kasuga Shine in Nara. 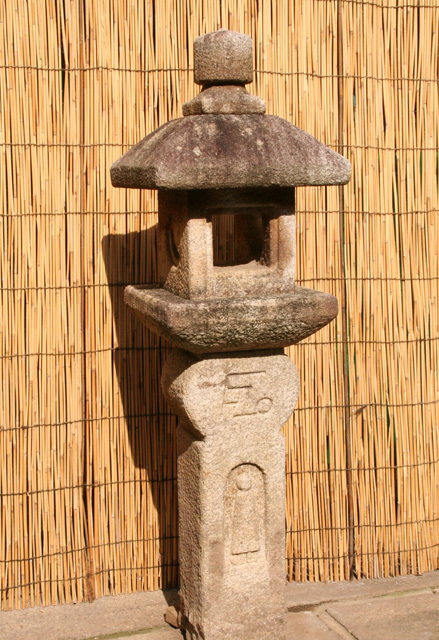 Kasuga lantern with carved deer design is typically used as an accent feature at a gate entry or gardens. 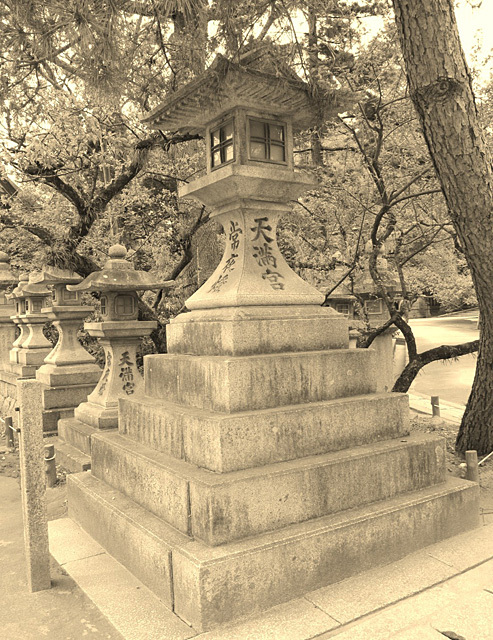 This is a reproduction of the famous lantern at Katsura-Rikyu Gardens, Kyoto. 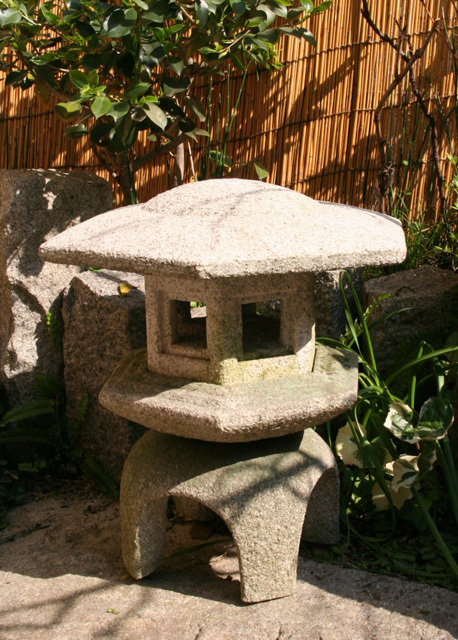 One of its outstanding features is the top of the roof which shape is like a gentle hill. 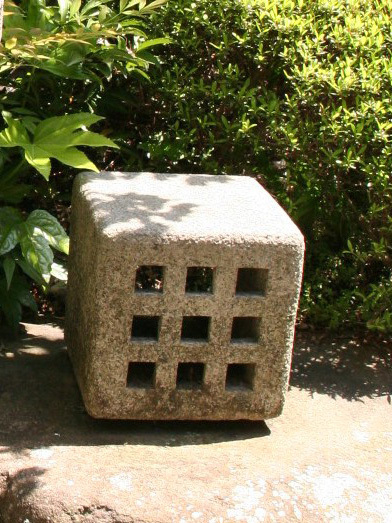 YUKIMI DORO has beed developed as a toro for only appreciation in gardens different from the ones which are dedicated to shines. 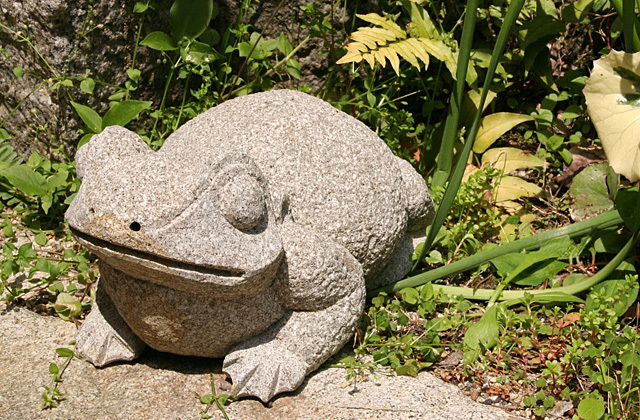 This Katsura-Ryikyu Garden type toro has only four legs. 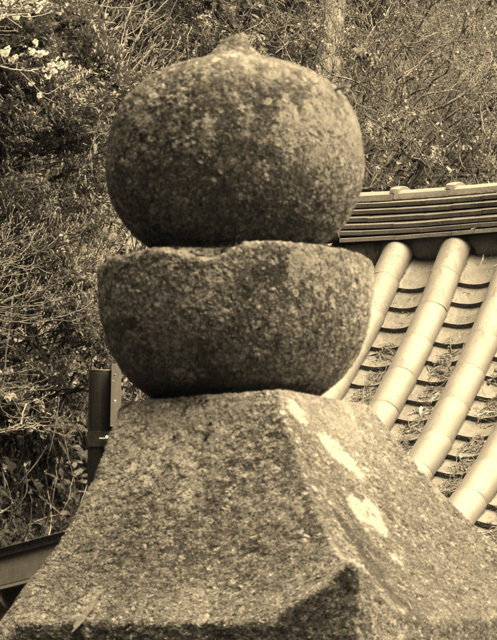 YUKIMI DORO the name of the stone lantern literally means “snow-viewing”. 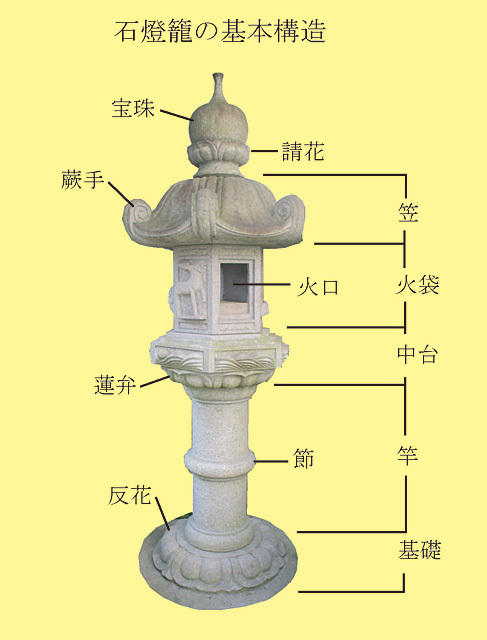 Original lantern had octogan shaped roof. But, hexagon or circular roof become more popular these days. 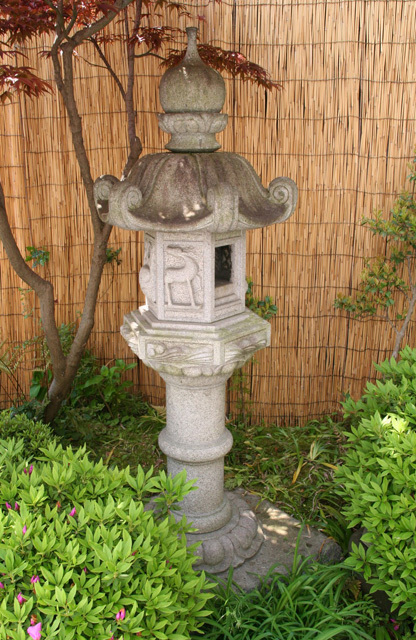 After the Edo period, this type of lantern has occasionally been used by pond or stream. 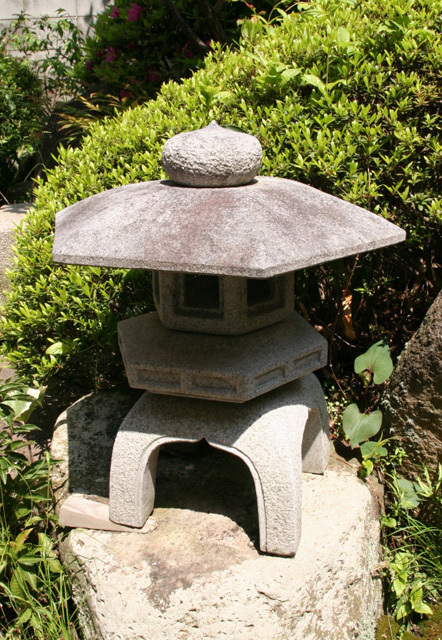 MISAKI DOORO is a reproduction of one of lanterns found in Katsura-Rikyu Garden, Kyoto. 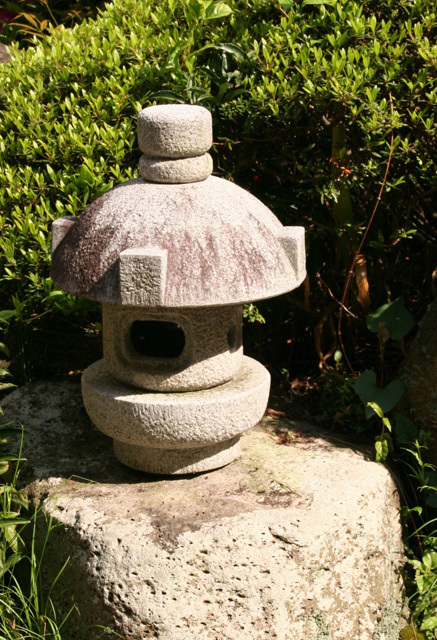 The lantern is oftenly placed over boulder in or side of pond. It is a symbol of the lighthouse guiding fishing boats home. 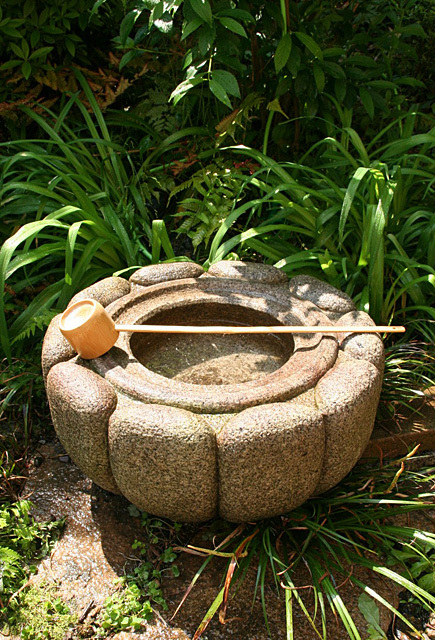 This is a basin shaped like teppatsu or a small iron bowl used by mendicant priests. Chrysanthemum is one of the flowers being beloved by people in Japan from the ancient times. 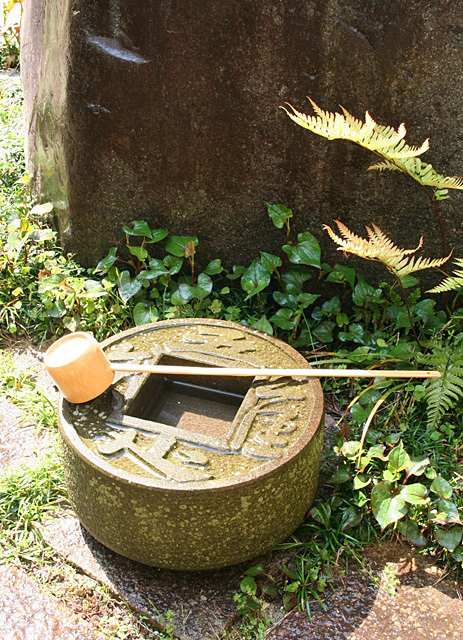 This is a stone basin with design based on flower. 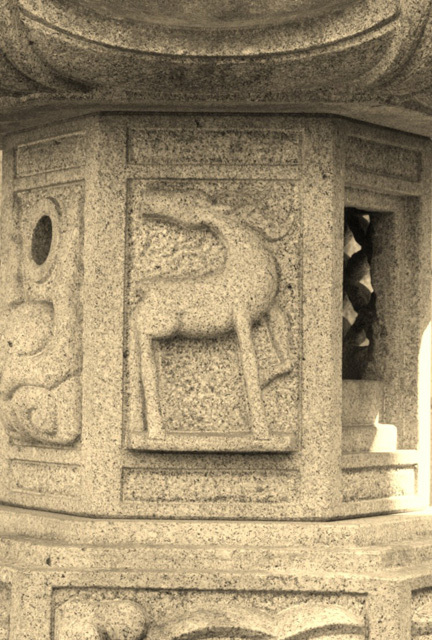 Rokkaku-kata toro, or hexagon toro was originally used to illuminate the front of the Buddhist temples and Shinto shines. 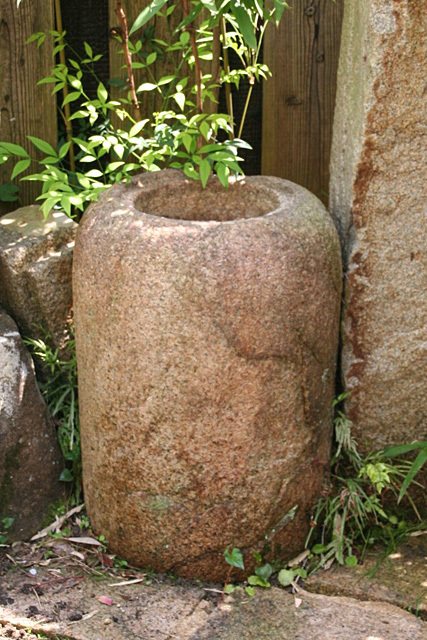 When the tea ceremony was established in Momoyama period, these stone lanternes were used in part of making tea gardens. 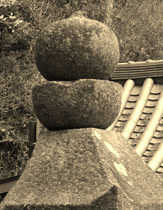 OKI DOORO is a stone version of Tsuri Dooro which is metal lanterns hung under the eaves of temples and shrines. 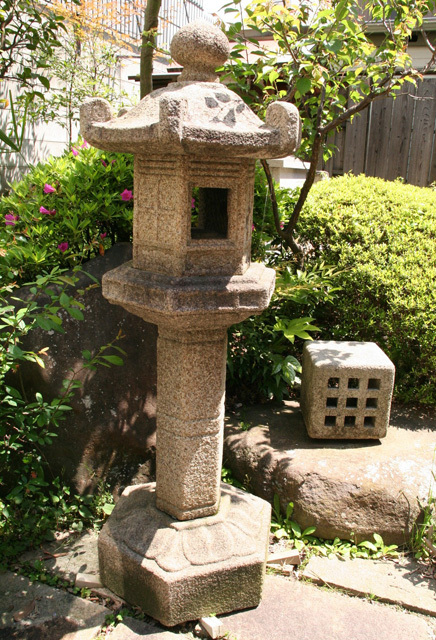 In the Edo period, only this type of hanging lantern was inherited into stone lanterns. 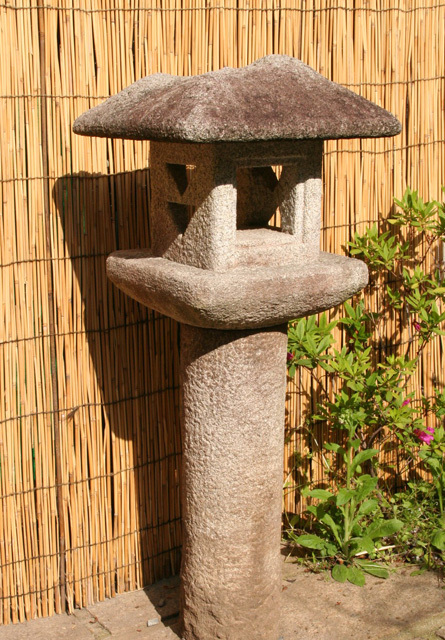 This is a stone lantern with contemporary design. 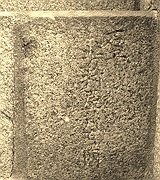 A latteice pattern is carved in one side of the cube. 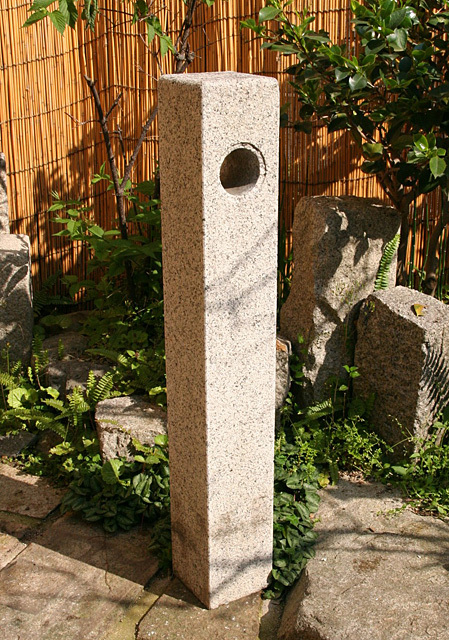 The design resembles the Chozubachi (stone basin) in Ginkakuji temple, Kyoto. 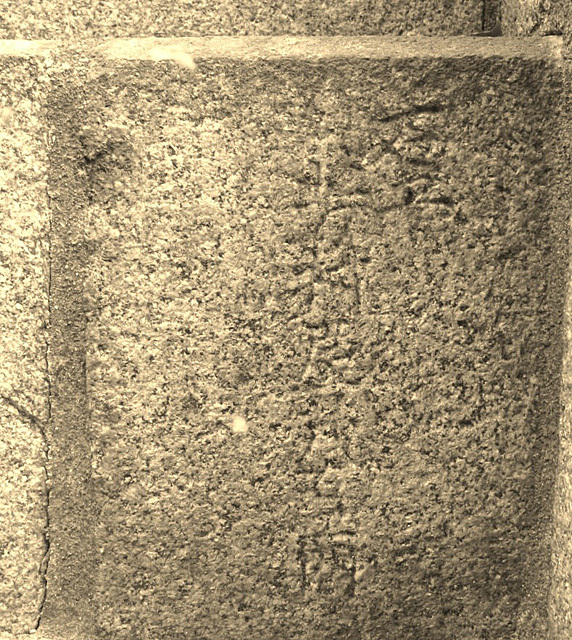 Guide stone was originally built for making an intersections or direction of pathways with name of places. 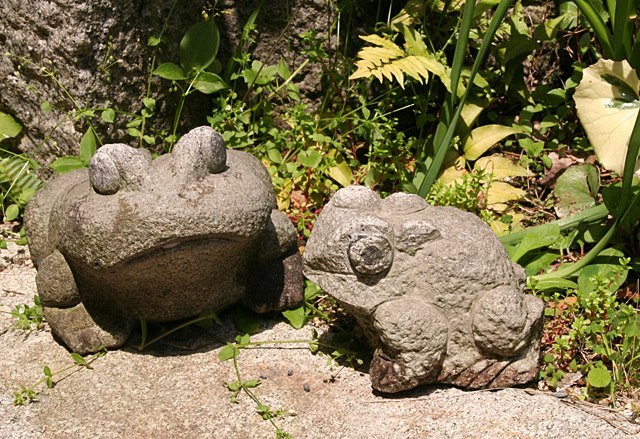 Copyright © 2010 Yoshimura Sekizaiten Co., Ltd.